The client had some very specific requirements for this job and we were more than happy to cater for their every requirement! There was to be a division in the marquee between the guests. Ladies were to enter the marquee on the left hand side and gentlemen were to enter on the right. Thoroughly professional service from start to finish! Matthew and the team at Crest Marquees made our dream wedding a reality! all our guests were blown away by the marquee and it was so nice to get married in familiar surroundings at my family home. Thank you Crest Marquees! We were approached by Steve and Louise as we had been recommended to them by a close friend. 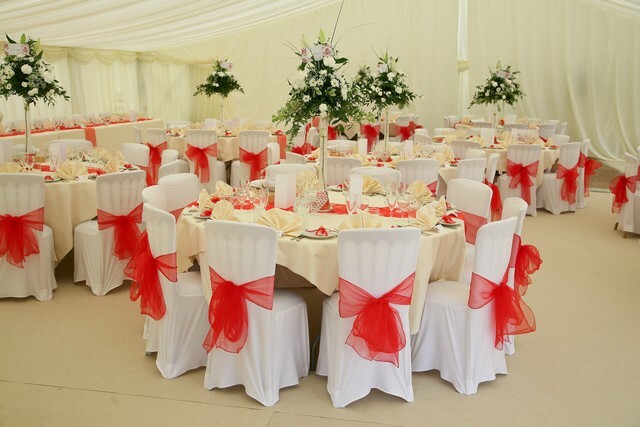 They had the idea of the red and white colour scheme and asked us to make the marquee 'vibrant, fresh and exciting' So we set to work. To provide a marquee for 230 guests for the opening of a new building. 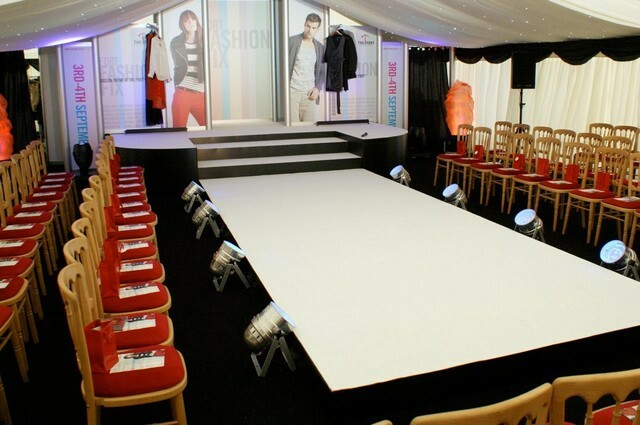 To provide a marquee with a catwalk, up lighters, incorporate a stage and provide a series of flat screens for a digital display. 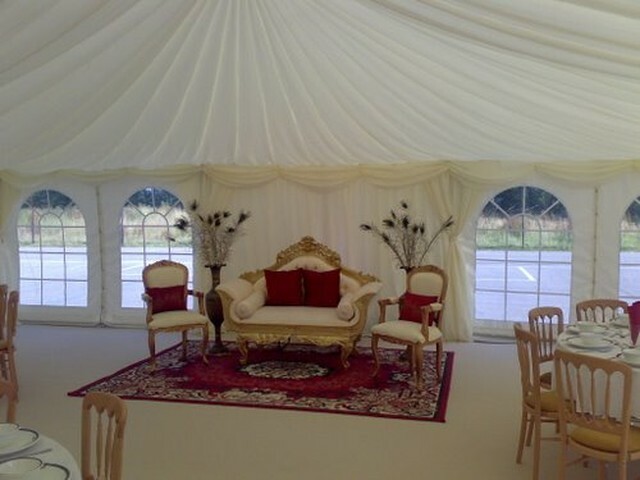 Wonderful marquee, professional service from consultation right through to removing the marquee from the car park. Matthew even offered to remove the marquee after the event if we needed. Thank you for making our fashion show a hit at the Fort Crest Marquees.